A convenient and quality dry cleaning service is available to you at Ormond News, Lotto & Stationers. 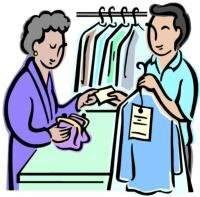 Ask about our special offer of quality dry cleaning for three items for just $20. 1dff95c0-98b2-4b5b-9e62-6d5891037146 A convenient and quality dry cleaning service is available to you at Ormond News, Lotto & Stationers. dry, cleaning, service, Ormond, newsagency, News, Lotto, Stationers.